In a pre-NAMM announcement, Pioneer has officially entered the Traktor controller arena and controllerism in general, with its DDJ-T1 4-deck Traktor DJ Controller, as leaked yesterday on Digital DJ Tips. “The DDJ-T1 controller is designed for the next generation of home and casual DJs who leverage digital music files everywhere they go,” says Pioneer. 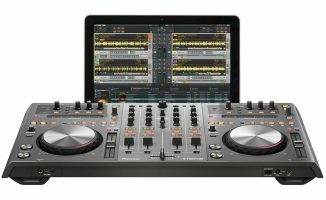 “The DDJ-T1 controller and Traktor software have an integrated, sleek design and several unique features that allow DJs to create top-notch performances while connected to a computer.” added David Arevalo, senior marketing manager at Pioneer USA. People buy Pioneer as much as anything because they’ve heard of them. They’re a big boy, and when the big boys move in to a market, that market grows up. Controllerism has come of age without a doubt and this unit is going to do well simply because of who is behind it. OK, having said that, it lacks a booth out, it lacks VU meters (but you get them on-screen of course), the laptop-underneath-the-unit design looks nice in the pictures but would be impractical (how do you search for tunes deep in your database if you can’t access your keyboard?) and the single microphone input with no EQ means that the unit will not appeal especially to mobile DJs. No, this is fair and square a home / hobbyist / mobile controllerist’s unit. It’s built to the highest of standards, and will be a joy to use. 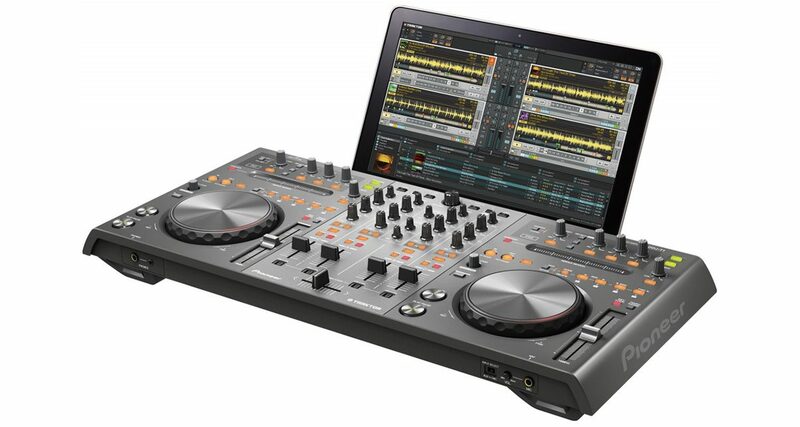 It is genuinely innovative in coming with an adapted apparently full-strength version of Traktor to suit its design. The needle search strips are great, auto channel start is potentially a neat DJ trick to have across 4 decks, and overall – while different from it – it compares well with the Kontrol S4, its closest competitor. One question is: Now that it’s entered the controller arena, how long before Pioneer develops it Rekordbox software (currently pedalled with its CDJs) as a fully fledged DJ solution for all its equipment? The unit will be on sale as of February 2011, with a suggested retail price of US$1,299. How significant do you think Pioneer finally entering the controllerism market is? Have they just thrown down the gauntlet for other manufacturers, or is it “too little, too late”? And are YOU tempted to buy one? If you plays gigs where you take requests on CD, then of course you need a CD player. Many DJs never do this so for those DJs, digital only is fine. You put the cd into your laptop and rip it to your library. Eventually? Yeah there are purists trying to hold on but it’s dying fast. Right now is the time. Sounds like the DJM-T1 is for you then .. analogue mixer, MIDI controller , and X1 all rolled into one and its “club spec”…only problem is the price tag ! The lack of option for DVS is the killer for me too, and the price is little too much. That’s why you don’t run windows if you spin. Simple. Things are hotting up I want to see this in action. 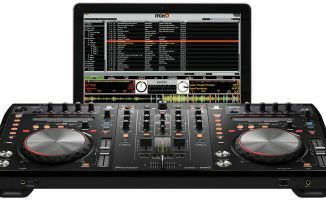 Its information overload with traktor this week, new software new controllers. I thinks I will stick with traktor pro and kontrol x1 for the time being until we see how the market pans out, dont want to be a guinee pig! Pioneer entering the market is a good sign what I want is single versions of the deck not too intersted in the mixer. Are you getting a review model Phil? Will hopefully get review models of both. I recently read a rule: If you feel like buying something new, write it down including why you want it, and a month later, re-read your words. If you still want it and your reasons still make sense, go for it. A motto that could save a few people quite a lot of money with NAMM on and all the new gear being launched/announced! thats a great rule phil, I have this dilemma at the moment between several controllers and will take this into account, looking forward to the review on this one! I think you’ve hit the nail on the head there. It is a statement of intent. Actually lookin at it, they should have made it modular. As in you can take of one deck at each side if you wanted or add on one or extra control boards. I was excited when I saw this, but for what it is the price doesnt make sense to me… If its for the hobbyist the price needs to come down…. so its better using a mac book , rarther than windows for the S4 then ? Not “officially”, but more than half of our readers use Macs, and we hear far less problems with Mac than PC. 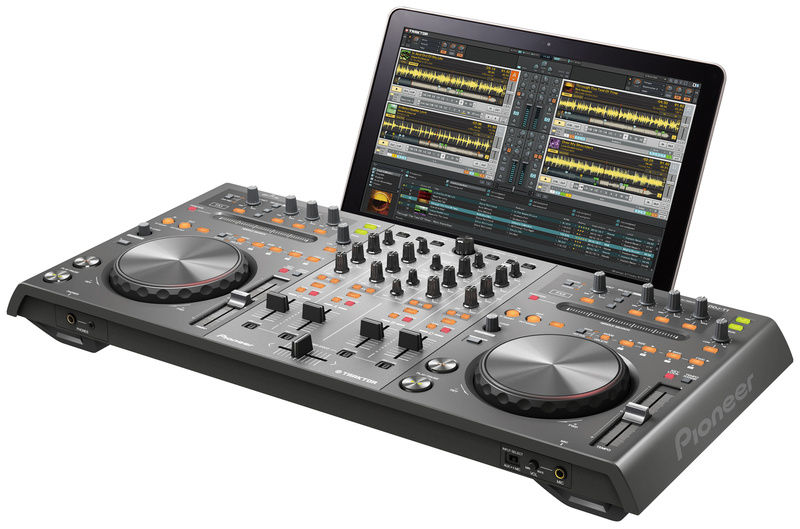 I planned to buy the S4 this month but after reading some comments about the DDJ-T1 I have a huge doubt… Which one is better? What are the pros and cons of each one? It’s down to cash. 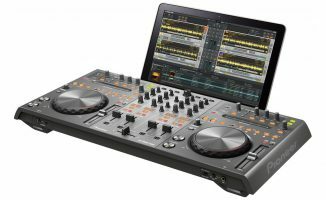 This is a great 4-deck system, but equally you could buy the Mixtrack Pro for a fraction of the price and use that to decide if DJing is for you before spending a lot of cash. No balanced XLRs, no booth output, no inputs for external CDs/phono. Thus it’d never be installed in a club, and those missing features would probably put off mobile pros too. It’s great hobbyist kit. Not having balanced outputs isn’t a real big issue. As a “sound guy” I’ve learned over the years that there is always a workaround. Being unbalanced is only an issue for long distances of cable run. A unit like the ART Cleanbox fixes that at a very small price. Not including balanced outouts is probably a marketing ploy to introduce a “Pro” level unit down the road at a much higher price. Granted the software included in that unit may be more full featured. They may even be waiting on the DJ communities response to this unit. If it’s like that, price Is way too high, and they shouldnt relese product like that, it’s not finished product than, so which controller is the best for clubs? Sound quality is fine on both. Don’t get hung up on the booth speakers thing – unless you’re planning on using it with booth and master speakers AND WITHOUT AN EXTERNAL MIXER, it isn’t an issue (all clubs have a mixer so you can play with either unit in a club). Phil I’m sorry for bothering you again, but I wanna hear your opinion, I have a partner, and we want to buy equipment together, and i always argue with him about using midi controllers, he don’t trust it, and he said that DDJ-t1 has glitches and bugs, is it that bad? I’m using the newest MacBook Pro 15″inch, that’s why I think maybe the DDJ-S1 is more stable with Serato? I heard windows users had problems, but I don’t know about Mac, What you think Phil? You wouldn’t have a problem with either, they’re both stable and designed for use in performance situations, especially with a MacBook. That’s all I wanted to know, that’s what I told my friend! Hes not listening to me, But you an expert Phil, your opinion has more power than mine, thank you man! 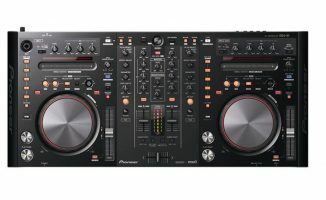 I am after some info on purchasing a controller, I have looked at the pioneer DDJ – T1 and the traktor S4, but can not make up my mind which way to go. I am a hobbyist but would like to connect my turntable into the controller that I purchase. I am familiar with pioneer CDJ900 and traktor as this is what I used in the past, any info would be appreciated. Then it has to be the S4 as you can’t connect external turntables to the DDJ-T1. I just don’t see why they wouldn’t let you Dj in the club with DDJ-T1 or Traktor S4, they all have same functions as other CD players. I guess I just don’t see a point buying a expensive CD Players where I can buy DDJ-T1 or Traktor s4 or Numarks controller and do all mixing and scratching and add cool effects that I would done in CD Players. Equipment does matter but if you’re a hella Dj on the mix I don’t see why not.